Great snack/dessert between meals or at night! Very easy to make! Cut the peaches in half and take the pit out of the peaches. 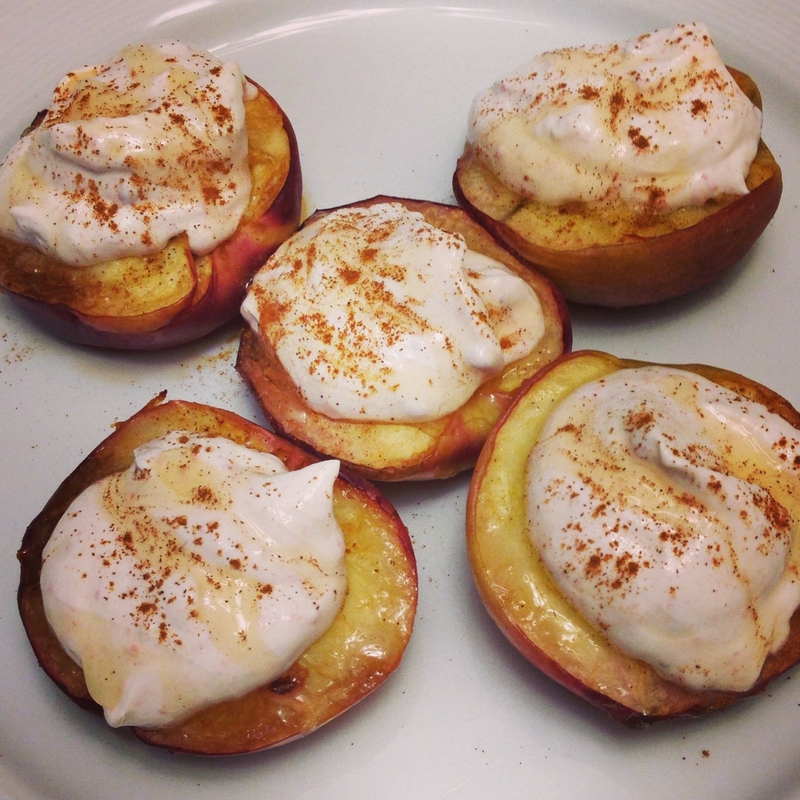 Rub some butter on the peaches and bake for 30 minutes at 375 degrees or until soft and tops are light brown. Take out and let it sit for 2 minutes. Sprinkle some cinnamon and honey on it. Top it with greek yogurt and ENJOY!